DYNAMIK are pleased to announce that the HARO Portable sprung floor has been supplied and installed at the 2018 Commonwealth Games main competition Basketball Arena. 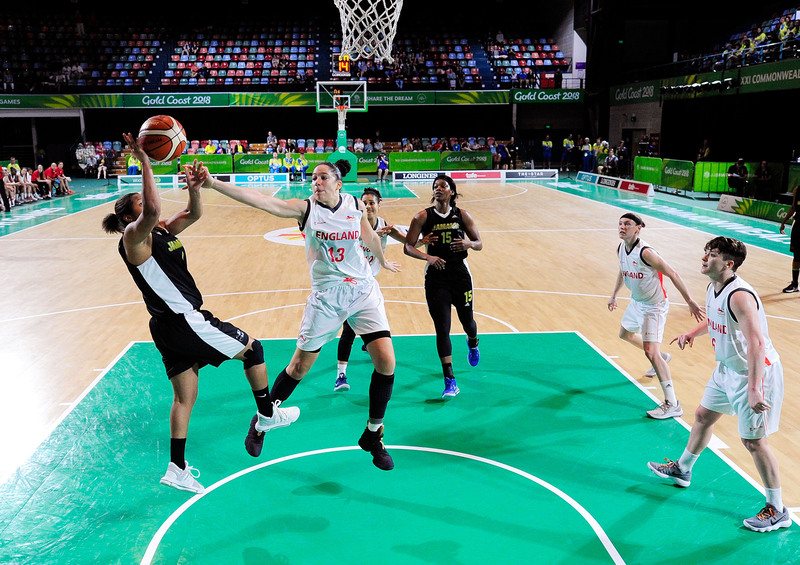 courtesy of Getty Images & Basketball England. The portable HARO sprung engineered Oak floor highlights how this world class sports flooring system is being used at the highest level. DYNAMIK have recently supplied both Basketball England and England Netball portable HARO sprung engineered Oak courts in preparation for National and International competitions. In supporting both grass roots and high performance sport, Dynamik are able to lead by innovation, creating suitable sports surfaces for all. With only a few days to go before the finals, teams from around the world have been enjoying the Commonwealth Games (#GC2018) and England’s Women are one win away from a medal.